Spokane, WA – On October 22 at the Spokane Veteran’s Memorial Arena, the Inland Northwest Sports Hall of Fame will honor seven outstanding people. Pat Falloon, Carl Johnson, Bobby Brett, Jerry Krause and Gary Lindeblad, PGA will be inducted to the Hall of Fame. Local athletic contributions of Mel Olson and Mike Vlahovich will also be honored with the addition of their names to the Scroll of Honor. The Induction Ceremony is open to the public and begins at 11am with Inductee Introductions and reception followed by the program and luncheon beginning at 11:45am. Tickets are now available for purchase, $30 per person. Visit the Inland Northwest Sports Hall of Fame for more information and to purchase tickets. Congratulations to Gary Lindeblad! 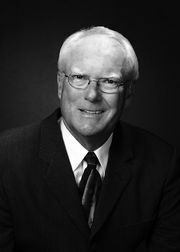 Gary was inducted into the PNW PGA Hall of Fame in 2007. He has been synonymous with Spokane golf since his two Spokane Junior City Junior Championships. After eleven years under the tutelage of Kaye Walker at Liberty Lake Golf Course, Gary took over the reigns at Indian Canyon Golf Course in 1985 and has been a fixture there ever since. In addition to running one of the busiest operations in the Northwest, Gary was instrumental in growing the Rosauers Open Invitational into the Section’s biggest championship and raising over $100,000 annually for the Vanessa Behan Crisis Nursery. A fine player, Gary played on seven Hudson Cup teams, one Senior Hudson Cup team and captained the 2004 squad. Gary also accomplished a rare feat in winning the 1990 Rosauers Open on his home course. Gary’s service to his fellow professionals is evidenced by his 20 years on the Employment Services Committee.